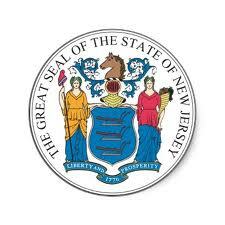 All New Jersey drivers know the Auto insurance landscape in Garden State has drastically changed. Prior to 2009, New Jersey drivers were limited to very few choices when it cam to obtaining liability insurance for you car, truck or SUV. Because of the population areas in the northern part of the state and the coastal risks along its eastern border, insurance companies have very difficult time trying to post a positive underwriting profit. Further, the statutory limitation created by the New Jersey legislature in those days made it even more difficult to correct a carriers rate filing. Most people notice that all auto and homeowners insurance carriers have a different rate. The rates a carrier charges is based on an actuaries finite estimation of how many claims an insurance company will need to pay for in relation to the amount of insurance premium the carrier will collect from it’s customers annual and monthly. These actuaries are highly educated individuals and are very good at what they do. Under normal circumstances, a set of auto insurance or homeowners rates files with the New Jersey Department of Insurance will perform as planned. As I mentioned before New Jersey has 3 issues it must overcome. Until January 1st 2009, most companies had a difficult time making a profit, because of the changes the New Jersey Department of Banking and Insurance put in place after that date – things have changed for the better. Regardless whether you are purchasing a new auto insurance policy or you are about to renew an existing policy; understanding the coverage required to meet the minimum coverage requirements of the state and what coverages you need to protect your assets are two very different things. And to choose the right coverage for your individual situation, you’ll need to consider a number of issues regarding not only the car you drive, but also when you drive, where you drive, and what additional and optional coverages you may need. Do you rent or own your own home? Do you have assets to protect? Will your own health insurance cover auto accident injuries? How much insurance coverage can you afford? If you have a bank loan on my car, do you need to carry Comprehensive and Collision? These are some of the questions you’ll need to discuss with a licensed insurance agent before making car insurance coverage choices. All Insurance Agents, brokers and carriers must tell you about all the coverage options available when applying for a new auto insurance policy. In addition, as an auto insurance client, you have the right to ask the same information during the policy period. You have the right to shop for auto insurance at any time during the policy period. If an agent states you can’t shop during the policy period, this in not the truth. Some Insurance agents may say this to hold on to you as an auto insurance customer. This is also true when your policy is up for renewal.